Our integrated control system control all handling system onboard. This is based on PLC control connected with remote control and operating panels (touch screens). 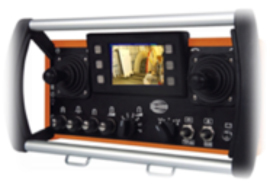 The equipment is made for control of all equipment on deck from radiocontrol and touch screens. You can choose between manual or automatic/synchro control. On the radio control unit You can choose what equipment to operate. There are a display showing system data, synchro control and alarms. 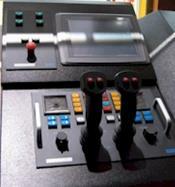 The control systems can be special designed for each vessel. The system integrate all deck machinery onboard: streamer winches, gun winches, towing points, spooling devices, aux winches, wide tow winches and powerpack. The system is flexible and can communicate with other systems onboard, example power-management systems or the navigation system. The number of radio remotes and touch panels are flexible. The radio remotes can be delivered with 2-way communication and LCD-panel. 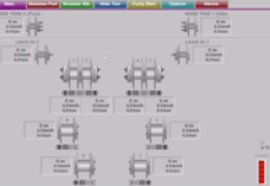 The system have Synchro operation function for all streamer winches on deck. We can update the control-system on existing vessels. 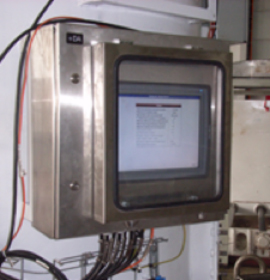 The system is flexible and can be used on most manufactures equipment. 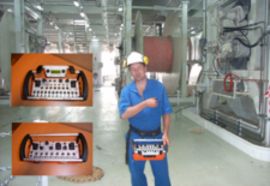 We can supply a complete package of both the control system and installation and start up. Our system can be delivered with remote access mode . The control system can monitored online from a maintenance and service center onland. It makes possibility for monitoring condition and service problems from land. Camera and Graphic information is shown on the touch panels, on the color panel on the LCD radio remote. The information can also be monitored online from remote control center. 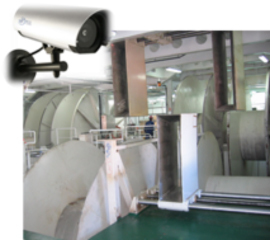 The monitoring system consist of monitoring cameras and IR and laser sensors ,angular sensors, RFID and tension sensors. Alarm , Automatic shutdown when personnel close to winch. Cable direction, spooling and monitoring. Slack cable alarm.